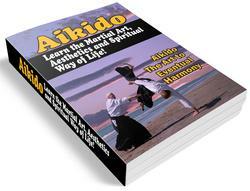 Aikido is completely new for most people, something unlike anything they have ever done in their lives. 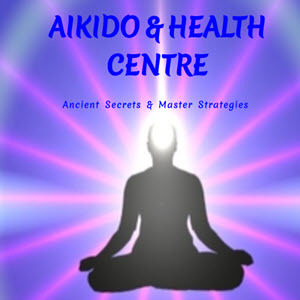 Most people have questions and anxieties about beginning Aikido. Most of the common questions have simple answers. What kind of shape do I have to be in? Aikido practice can be tailored to meeting your needs and abilities, so you don't have to be in good shape to start. Do I have to be big and strong to do Aikido? No, Aikido techniques depend on softness and efficiency of movement, not sheer bulk or strength. Is Aikido good exercise? Yes, it definitely is, but you will start off practicing slowly and get more vigorous as you learn how to do the movements safely. Are injuries common? No. Since Aikido is non-competitive and since the techniques are designed to be non-violent, there are relatively few injuries in Aikido. Am I too old to start practicing? Aikido can be practiced and enjoyed safely by people of any age. If you have any questions about specific medical conditions, check with your doctor. Won't the advanced students be irritated at having to practice with a beginner? No they won't. We change partners frequently. Everyone practices with everyone else. Advanced students can learn from beginners, and the willingness to help beginners is part of the spirit of Aikido. Is there a religious component to Aikido? No there is not. There is an underlying philosophy of respect for life, but no religious practices. The founder of Aikido was devoutly religious and expressed his understanding of Aikido in his religious terms, but that is not part of Aikido as such. Is there a religious component to aikido?